Making sure your restaurant is successful is of the utmost importance. There are plenty of things that you have to keep in mind when it comes to running a successful restaurant, but one of the most important aspects, is your appearance. When people go to a restaurant, they want a nice, clean environment. When you’re busy making sure that you have everything stocked, and all of your employees are taken care of, one thing that can be easy to lose track of is your linens. You would never want someone to come in to eat and find that your tablecloths were dirty. That can be detrimental to the success of a restaurant. Instead of putting anything else on your plate, why not hire restaurant linen services to make sure that you are taken care of? Not only will you not have to worry about cleaning your linens on your own time, but you won’t have to worry about making sure you have all of the linens you need. When you use a linen service, you are allowing yourself more time to look at the more important aspects of your business. Uniform Nations can make sure that you have all of the linens you need, when you need them. We work on your schedule so that you never have to concern yourself with the linens that you require. If you are ready to relieve yourself of another task by outsourcing your linen service to a trusted provider, we’re here to help! Get FREE Quotes on Restaurant Linen Services Today! 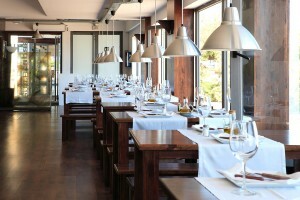 We can help get your restaurant rental services set up as soon as possible so that you can get back to business.